To prevent spamming of liquidation polls the rules for a liquidation poll were adjusted. A liquidation poll can now only be demanded for companies which already consist of cash and/or own shares only. To reduce the amount of time needed to liquidate a compnay to a minimum the voting duration of a liquidation poll is reduced from 7 to 1 day. Companies that got overtaken by Alphabanker will be liquidated. They enter a 3-step procedure short time after the takeover. The companies sell their own shares to the bank and sell the whole portfolio using market sell orders afterwards. Eventually the companies get liquidated, when they consist only of cash. The Alpha Bank got a new logo. Many thanks to our Alpha Team member JohnDahl who did a fantastic design job. The interest rate for central bank reserves is increased from 25% of the daily main interest rate to 90%. Hence banks can earn more interest on their reserves. 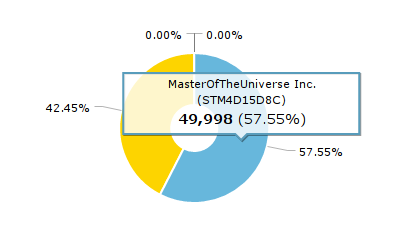 There is a new pie chart showing the propotion of shares. A circled number is indicating the number of unread messages in that particular chat. It's now possible to file a complaint about a message. In case you cannot remember your password you can now use the "Forgot password?" function on the login page. 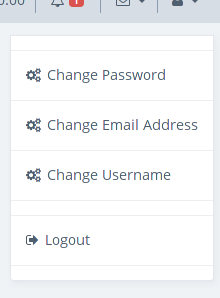 The user menu in the top right corner offers severel ways to change your user account. 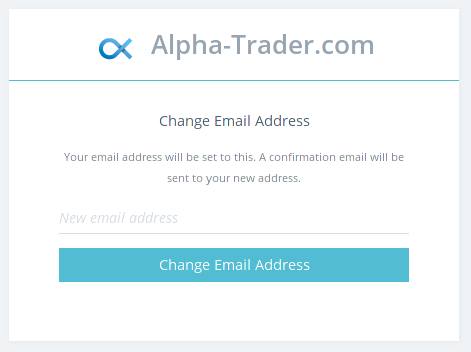 You can now set a new password, email address or even change your username.